A seven member delegation from National University of Technology (NUTECH), headed by Lt. Gen. Khalid Asghar (Rtd. 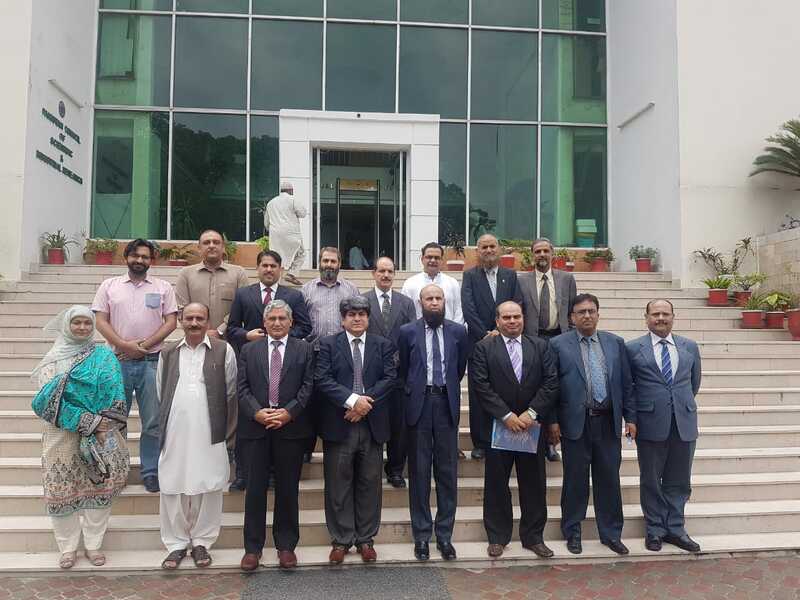 ), Rector (NUTECH) visited PCSIR Head Office, Islamabad. The main purpose of the visit was to establish immediate links between Research & Academia at all management levels. 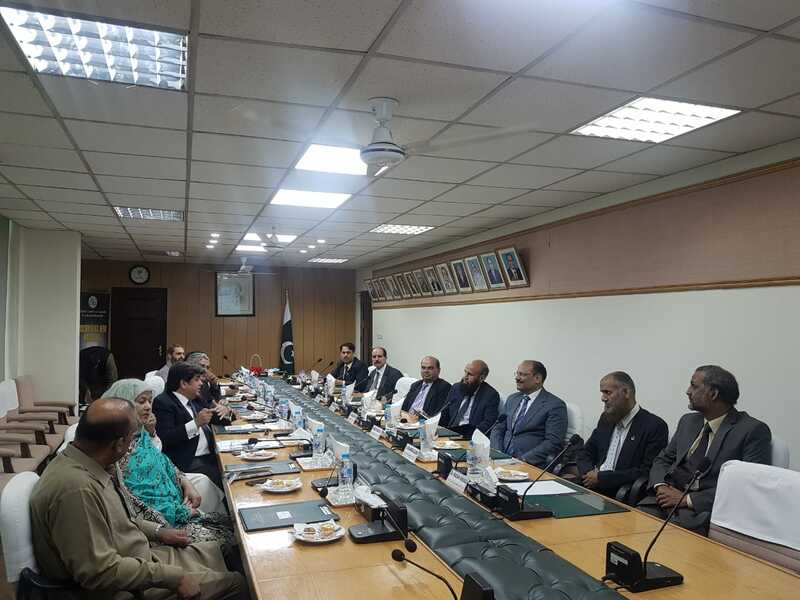 Dr. Shahzad Alam, Chairman PCSIR welcomed the Rector, NUTECH and his delegation members. 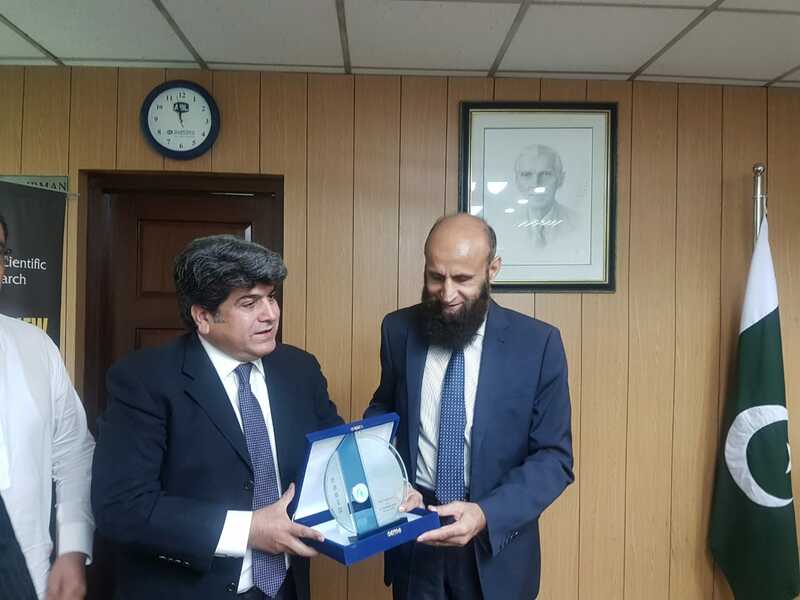 During the visit, Dr. Shahzad Alam gave a brief presentation about PCSIR & its activities especially related to its technical training institutes. In the presentation, then Chairman PCSIR highlighted the proposed areas of collaboration between both the entities. Lt. Gen. Khalid Asghar (Rtd.) also gave the introductory presentation about NUTECH which is established as the “University for Industry” to revolutionize engineering technologies education in Pakistan by introducing most innovative, productive as well as futuristic curricula and academic support systems on the lines of world’s top ranking technology Uinversities.